I can’t really say much about Tuyuan yet since it’s in Chinese and there isn’t much information (translated page here), but it certainly looks like they’re trying to tackle the facial recognition problem that has destroyed many a startup. We’ve seen Riya (now focused on ecommerce via Like.com), Ookles (never launched), and Polar Rose (in private beta for nearly a year), among others. 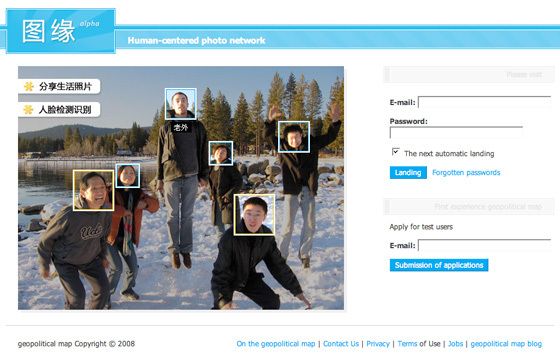 Most recently Tagcow came on the scene, but it turns out it uses humans to tag photos, which tends to produce bad data. Will Tuyuan be any different? We have no idea yet. But we’re contacting them to find out. More soon. Thanks for the tip, Orli.